From 2001 through 2004, 808 pediatric patients admitted to hospital because of acute respiratory infections were examined for presence of respiratory viruses by either direct fluorescent staining using monoclonal antibodies or RT-PCR during three consecutive winter-spring seasons. On the whole, 336 (42%) patients were detected as positive for one or more respiratory viruses. The most widely circulating virus was human respiratory syncytial virus (hRSV) infecting 50% of positive patients, followed by human metapneumovirus (hMPV) found in 13% of patients, and then by influenza virus type A, human parainfluenzaviruses and coinfections. Significant variations in the circulation rate of hRSV, hMPV and influenzavirus type A were observed during the individual seasons. In addition, the circulation rates of the different types of hMPV changed yearly. 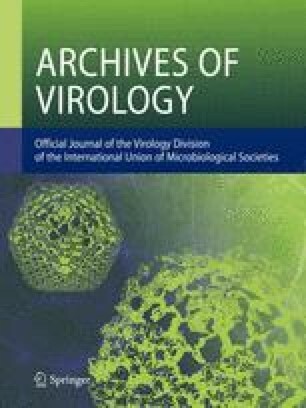 In 2001–2002 and 2002–2003 hMPV circulated at a significant lower proportion than hRSV, while in 2003–2004 the circulation rates of the two viruses were closer. In conclusion, the 4 hMPV subtypes circulated yearly in Northern Italy flanking hRSV as major respiratory pathogens in the infantile patient population.